The great outdoors. Very few experiences in life beat the feeling of a cool breeze rushing across your face, the warm sun shining down on you and generally just being in touch with nature. Whether you are out there for a trail run or a hike, there’s no hiding that most times you tend to bring along some form of entertainment. 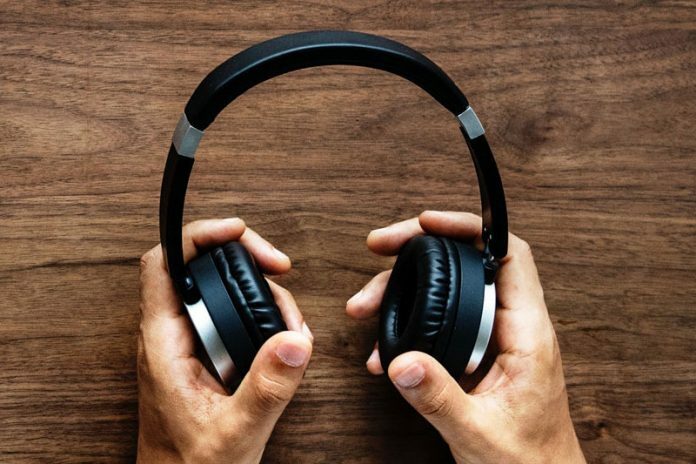 It could be enjoying your favorite music playlist or listening to an audiobook Heck, most people catch up on podcasts this way. Whatever the activity, wouldn’t it be much more fun if the darn headphones didn’t keep falling off? Or hurt your ears so much? Well, getting a better pair might just work the trick for you. WHAT ARE THE BEST HEADPHONES FOR TRAIL RUNNING? By now, it’s rather obvious that when choosing the best headphones for trail running, picking the right fit is a no-brainer. However, just like choosing regular headphones, that’s not all you look for. USING THESE GUIDELINES, HERE’S A LIST OF THE 5 BEST HEADPHONES FOR TRAIL RUNNING. Have you ever heard of Bone conduction technology? It involves delivering sound through your cheekbones so that the ears remain open to receive ambient sound from the environment to help with situational awareness. Cool eh? This is one of AfterShokz Air’s unique features that make it rank top of our list. Not only does it make them safe to wear, but also the sound quality produced by the penFit’ speakers is also quite good! 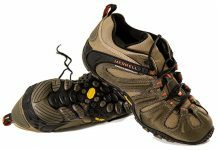 Compared to the previous models, the Air was improved in design to be more comfortable, be 20% lighter and have a secure fit so that they don’t unnecessarily fall off. The Bluetooth connection is strong and simple to set up, while the 6 hours of charge available after fully charging should get you through a long run comfortably. Add this to fact that they’re sweat, water and dustproof and you have yourself one of the best trail running headphones money can buy. The improved Bone conduction technology is revolutionary and helps with situational awareness. 6-hour battery life is good. If you’re a fan of true wireless headphones, then the Mpow T3 should work great for you. Equipped with Bluetooth v5.0, these headphones seamlessly connect to your device, be it iPhone/Android, and hardly suffer from dropouts be it when listening to music or taking a call. The earbuds also come with two modes: Mono and Stereo. With mono enabled, you can use one of the earbuds even while the other is in the case charging. If you want to fully enjoy premium quality sound, however, make sure to switch to stereo. The IPX5 water resistant rating makes them both sweat and rainproof, enabling you to enjoy your run in any weather. Mpow T3 earbuds are also specially designed for in-ear comfort and stability, all thanks to the customizable three-sized ear tip. Battery and charging is another field the earbuds shine. The storage case also serves as the charging case and it is very portable. Once fully charged, the earbuds are capable of lasting up to 20 hours with use! Another entry from the rue wireless’ category, Jabra have provided numerous software updates for their earbuds making them one of the best-sounding in this list. Using your phone, you can use the equalizer in Jabra Sound+ app to customize the sound in your earbuds any way you want to. The bass levels, in particular, are pretty awesome. With built-in Alexa and housing 4 microphones that filter out background noise, using voice commands with these earbuds is a breeze. The call quality is also really good. Just like the Mpow T3 earbuds, the Bluetooth v5.0 feature virtually eliminates any music and call dropouts. The earbuds also have a clip-on design, with multi-sized ear gels that make them fit comfortably. Additionally, they are IP56 rated meaning they’re resistant to water, sweat, and dust. The feature that makes these earbuds shine, however, is the integrated motion sensor. With this, you can monitor your heart rate using the companion app. Even if you decide to do some reps, the internal accelerometer monitors the number of squats and the like. Battery life measures around 5hours but can be increased to 13.5hours through the on-the-go charging case available. Being able to customize the sound produced makes the quality great. The gels hold the earbuds in place and are comfortable even for long use. Improved technologies such as Bluetooth v5.0 and the in-built Alexa make wireless use easy. The 5-hour battery life is decent and can be extended to 13.5 hours by using the on-the-go case. For the diehard over-ear headphone fans, here’s your top pick. When it comes to comfort, these headphones rank among the top in this list. I’ve owned the same pair of wired Sennheisers for almost 10 years and they are still better than any others I’ve tried, if this tells you anything about their quality. Not only are they lightweight in design, the generously padded headband and rotating earcups provide you with long use with minimal chance of fatigue. The grip is also excellent, removing any worry of them falling and breaking. With a number of sound modes to choose from, it goes without saying that the sound quality is great when listening to music or other audio files. Also packed with Bluetooth v4.2, NFC pairing and multiple voice prompts, wireless use is quite convenient. Call quality, as we have so often judged, is also great thanks to the in-built triple microphone array. If you’re also thinking of totally immersing yourself in music during the trail run, then you’ll be glad to hear that these have adaptive noise cancellation ensuring sound quality is stellar. Battery life is also no joke, shown to last up to 30 hours! If it does run out, however, and the charger isn’t close, you can use the audio cable provided. Sound and call quality is superb. The sturdy and ergonomic design provides not only comfort but also a proper grip. Active noise-canceling is also available. Another set from the fitness category, the KuaiFit headphone is designed with a fitness tracker, heart rate monitor and a real-time running coach all in place to ensure you meet your trail running goals. With 8GB of storage memory available, you can load music to play through the mp3 player plus record your running stats for the day. The Bluetooth feature enables you to connect to your phone to store data or even play music from Spotify. The headphones are sweat and dust-proof and can also be fitted with different ear tips if you’re thinking of exercising indoors. The battery lasts for about 7 hours with constant use. They are the best choice if you want coaching, with training plans available for purchase. Now that we’ve looked at some headphones for trail running, let’s get a better idea of what trail running actually is. Although the term is commonly used interchangeably with hiking, trail running involves more of off-road running while hiking is mostly a walk through natural environments, with mostly steep terrain. By that definition, trail running tends to be more strenuous than hiking, with distances usually averaging from 10km up to 250km. The most common trails used include; coastal trails, flat forest trails, and slightly hilly terrains. IS IT OKAY TO WEAR HEADPHONES DURING TRAIL RUNNING? 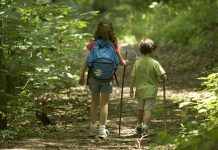 The safety factor – Since most of your hearing will be focused on music or some other material, it will be quite difficult to hear activities happening around you; like the grunting of a charging bear or a large rock falling above the trail. This, in turn, could end up making the trail run less safe. Some may also argue that by disabling one of your senses during a trail run, you may not get to fully enjoy the outdoor experience. Enjoy two activities you love both at once. Also, since trail runs can end up being fairly long, bringing some music along could make the activity a little less boring, so to speak. Trail running is undoubtedly fun and gives you an opportunity to keep both fit and experience the beauty of nature. Bringing the perfect headphones along, in turn, could make the experience even more enjoyable. So, why wait? Grab the AfterShokz Trekz Air headphones, the best trail running headphones you can get right now, put on your trail running shoes, and go have fun!